Swiss Ski Club of New York - Ski St. Anton - A week with the SSC in Austria! Ski St. Anton - A week with the SSC in Austria! RESERVE NOW for $100 early bird discount!! 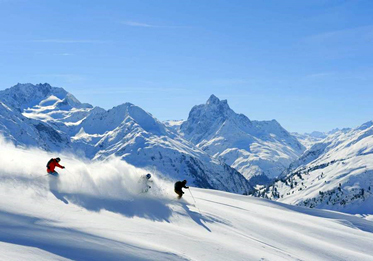 Consistently ranked among World's TOP 10 SKI RESORTS (BOTH skiing AND après-ski). With new Flexenbahn cable car in the 2016/2017 season, it is the biggest interconnected ski area in Austria linking St. Anton and St. Christoph, Stuben, Zürs, Lech, Oberlech as well as Schröcken and Warth easily and comfortably on skis. Austrian hospitality with lively après-ski activities among them the world-famous MooserWirt and Krazy Kanguruh. Known for some of the most beautiful ski runs in the Alps. As the birth place of "Modern Skiing," St. Anton's ski schools are known as among the best in the World, who can teach you the famous Arlberg technique. Non-skier or want to take a day off? 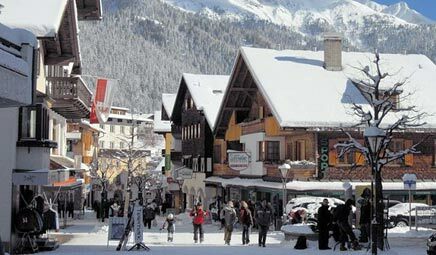 You can go winter and snowshoe hiking, tobogganing, visiting the upscale shops at Lech or make a day trip to Innsbruck. 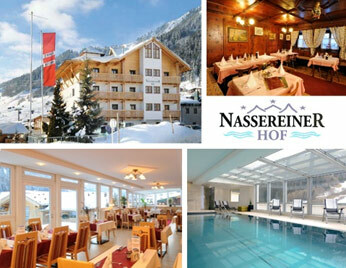 Located next to the skiing slopes, sports stores and lifts – only about 150 YARDS to lift. Quiet area – yet 10 min walk to center of town for bars and nightlife. Hotel Amenities: Ski storage, boot warmer, hair dryer, bath robe, sauna towel and slippers in room. FREE wi-fi. Highly rated on TripAdvisor. Double-occupancy rooms with shower or bath, hair dryer. Price based on standard rooms. Room upgrade and limited number of single rooms. Email Trip2017@SwissSkiClub.org to request availability and pricing. Second payment: $800 payment due by October 5th, 2016. Final Payment: $876 members / $976 non-members, due by November 5th, 2016. Late fees and penalties: Additional $100 if final payment is not received by November 5th, 2016. Reservations are subject to cancellation with replacement from wait list if final payment not received by December 5th, 2016. Cancellation policy: Thru 11/15/16 - $100; from 11/16/16 thru 12/15/16 - $500; from 12/16/16 thru 1/15/17 - 75% of trip price; after 1/15/17 - 100% of trip price. Trip insurance is recommended. The price is 7% of the trip cost. For more information or to book trip insurance, email Trip2017@swissskiclub.org at the time of booking with the subject line “Trip Insurance.” Separate payment by check is required and is due within 10 days of booking.